It's Week 4 of our CSA farm share and a most wonderful surprise greeted us today when we picked up our share. 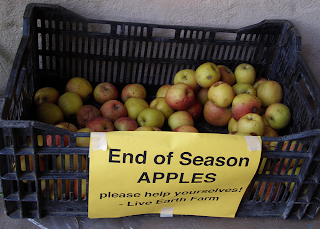 The very last of last season’s apples offered to members on a take-as-many-as-you-like basis! True, many of the apples are dryish or have a small squishy brown part, but the taste is still sweet ambrosia. I might make some of my Mom’s applesauce, but we’ll probably just eat them as is. Heavenly! 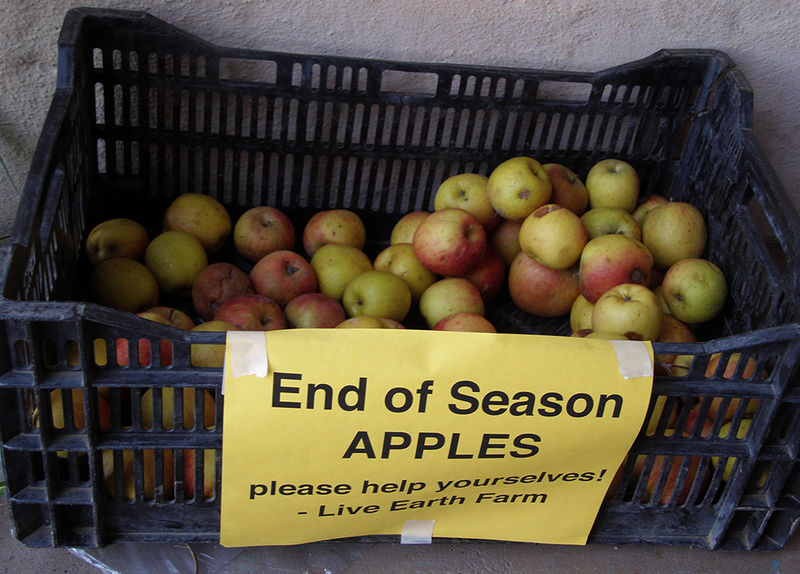 Thank you, Live Earth Farm. It seems to be that green garlic and spring onion time of year when I start thinking of cooking pasta a li olio: pasta with olive oil, onions, and garlic. This recipe started out as college fare, cheap and filling, but its flavor is something that must be experienced by anyone who ever thought they loved an onion. And I still want to bake that lemon pie with the leftover lemons! Strawberries! Plain or maybe sliced with a little cream.